» Bristol Aquarium welcomes new shark arrivals this Easter! Bristol Aquarium welcomes new shark arrivals this Easter! There will be some new sharks in the city this Easter as we welcome a brand new shark species and a three week event to bring people closer than ever to these fascinating animals. 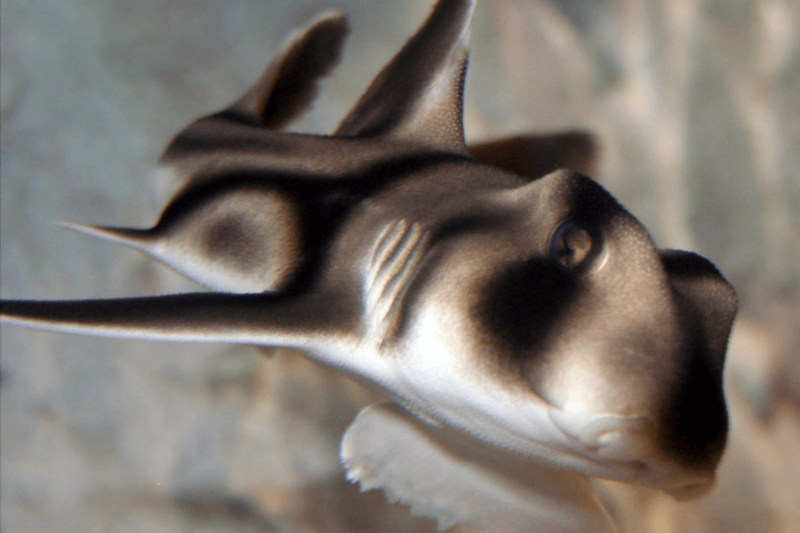 As part of the “Sharks in the City” celebrations we will be welcoming some brand new Port Jackson sharks. The three juvenile Port Jacksons are currently about the length of a 30cm ruler and will be on display for Easter in our Coral Seas Zone before moving to the large Coral Reef display as they mature – at adult size they can grow to 1.5ft. Port Jacksons are a tropical species of shark found around Australian reefs and come with a set of very interesting characteristics. They are generally brown in colour with vivid banding across their bodies and they have two sets of teeth – one row of tiny teeth in the front and a row of flat, crushing plates in the back to help them eat hard-shelled prey. Our Sharks in the City Easter event will offer a range of interesting talks about sharks, offer opportunities to touch real sharks teeth, jaws and skin, take part in an exclusive fish feeding experience and take our super senses trail. There’s something for everybody this Easter so be sure to check out our full event schedule to help you plan your day.